the songs from thin air, Fishing with a line versus a net. Performing Songwriter Susan Gibson, writer of Wide Open Spaces performed by the Dixie Chicks, will present a workshop on Saturday, April 22. Workshop, pizza dinner and performance all included for $35. Susan has taught songwriting workshops to all ages. She has been a mentor at the Real Life, Real Music Summer Camp in The Woodlands, Texas for the past five years. 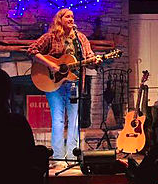 She's also given workshops and talks at The Brauntex Theater, The San Antonio Songwriters' Saloon, The Songwriters Serenade Competition, The Bugle Boy Soldier' Songs Program, Belmont University, UT Austin, NSAI Nashville and Houston Chapters, and at The Boys and Girls Club among others. Susan draws from her experience as a commercially successful songwriter as well as a nationally touring, independent artist with 5 albums of original material in her catalog. She can address a variety of topics from writing to business. Learn the songwriting techniques of the master songwriters with best-selling author Wayne Chase. Learn how you can use these tools to craft great songs. Includes FREE library, books, music charts & more ($400 value). Hands on, in-depth exploration of your original songs using more than 40 specific SongMatrix musical & lyrical techniques. Create brilliant melodies and emotion-evoking lyrics. Includes 1-year post-retreat mentoring with SongMatrix author Wayne Chase. For those of you who could not make it to the 2015 ASCAP "I Create Music" EXPO, Video Access is now available for only $99! Want to study songwriting but don't want to get out of your PJ's? * Take a class online through a songwriting workshop yahoo group with Barbara McMillen, associate professor of Songwriting and Music Business at Collin College. * Check out the https://songtown.com songwriter learning community.